Jamie Brown is a Project Director at BASE, a non-profit Collaborating Centre of the United Nations Environment Programme (UNEP) in Basel, Switzerland that works to mobilise finance for sustainable energy worldwide. Jamie was Founding Head of Secretariat for the UNEP Sustainable Energy Finance Alliance (SEF Alliance), the only convening body in the international system for public finance agencies in the clean energy sector. She is currently organising an effort on behalf of BASE, the UNEP Finance Initiative and IISD to engage the global finance policy system on sustainability. Jamie is a U.S. Presidential Scholar and holds an MSc with Distinction in Development Management from the London School of Economics. Sweden. He graduated from the Stockholm School of Economics; received his PhD from Stockholm University; and is Honorary Doctor of Hanken School of Economics, Helsinki, Finland. He has spent half of his career in business and half in academia and written or contributed to more than 50 books and numerous articles. His research embraces service systems and relationship marketing. He has received two awards from the American Marketing Association and according to the Chartered Institute of Marketing (CIM), UK, he is one of the 50 most important contributors to the development of marketing. He takes a special interest in methodology and the theory of science with a focus on real world complexity. Beginning with his own discipline he has continued to look into economics and medicine finding that both are in distress; he is currently preparing a book on the decay of Western Medicine. In 2009 Leland Lehrman worked for the President of the New Mexico Senate, Timothy Z. Jennings overseeing the State’s $25B public pension and endowment funds. While working for the State, he developed a plan with Ellen Brown for a Bank of New Mexico, currently spearheaded by Rep. Brian Egolf, D-Santa Fe. He is now managing partner at Fund Balance, a sustainable non-discretionary investment advisory company focused on environmental and social responsibility. Dr. Suurkula was born in Estonia in 1941 and grew up in Sweden. 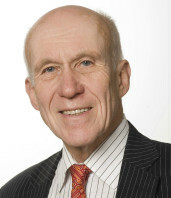 He obtained a medical doctorate at Gothenburg University in 1969 and returned to Estonia in 2006. From research on gerontology at Gothenburg University he developed the Ecological Theory of Aging in the 1970s. This research made him realize that the analytic-reductionistic approach of modern biomedicine is fundamentally wrong – that a systemic methodology is required to achieve realistic knowledge about aging and how to really prevent and cure diseases. A lifelong interest in economics led to the insight that there are numerous parallels between biomedical and societal systems (complex interactive flows of information). Realizing that modern economics is based on an inappropriate research approach like that taken by biomedicine, he is now evolving a systemic theory of economics. 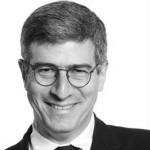 Bruce Cahan, J.D., is CEO and co-founder of Urban Logic, a nonprofit that harnesses finance and technology to change how systems think, act and feel. Bruce is creating GoodBank™(IO), to demonstrate high-transparency ethical banking. Since becoming a full-time TV producer, Hazel has stepped down from her many board memberships, including Worldwatch Institute (1975-2001), Calvert Social Investment Fund (1982-2005), and other associations, including the Social Investment Forum and the Social Venture Network. She remains on the International Council of the Instituto Ethos de Empresas e Responsabilidade Social, Sao Paulo, Brasil, a Patron of the New Economics Foundation (London, UK) and a Fellow of the World Business Academy. The first version of her Country Futures Indicators (CFI©), an alternative to the Gross National Product (GNP), is a co-venture with Calvert Group, Inc.: the Calvert-Henderson Quality-of-Life Indicators (Desk Reference Manual, 2000), updated regularly at www.calvert-henderson.com. Sergio Lub is an architect, inventor, jewelry designer (www.SergioLub.com), and an international networker. He always had a passion for interconnecting visionary people, and in 1995, more than a decade before 'Web 2.0', he designed Friendly Favors (www.Favors.org) as the first community building freeware, which is interconnecting over 50,000 Cultural Creatives living in over 100 countries. Another passion of Sergio's is to develop improvements to one of our most powerful social inventions: Money. He has been working closely on this subject with Margrit Kennedy, Edgar Cahn, Thomas Greco, Bernard Lietaer, and others. Since 1999, Favors.org has a community currency component called Thankyous, which has saved millions of cash Dollars to its participants by fostering trust and mutual credit.